To fit: Saab 9-3 Sports Sedan/Saloon/Convertible/Combi 2003 onwards (Not Aero). 15" Brakes, 278mm Diameter disc. 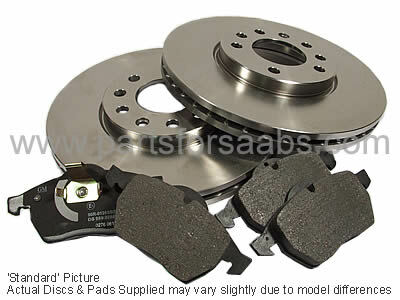 Genuine replacement discs x2, plus a full set of pads to cover both sides of the car.